Home Feature Your natural FAT BURNER! Why you need to stock up on leftover pasta, legumes and un-ripe bananas? They are all rich in Resistant Starch. Resistant Starch (RS) is the starch that goes through the digestive system undigested! Hence, no calories! RS is created in cooked, cooled, starchy food. Cooking triggers starch to absorb water and swell, as it slowly cools, portions of the starch become crystallized into the form that resists digestion. Cooling either at room temperature or in the refrigerator will raise resistant starch levels. Most of the carbohydrates in the diet are starches. Starches are long chains of glucose that are found in grains, potatoes and various foods. But not all of the starch we eat gets digested. Sometimes a small part of it passes through the digestive tract unchanged. In other words, it is resistant to digestion. This type of starch is called resistant starch, which functions a bit like soluble fiber. Many studies in humans show that resistant starch can have powerful health benefits. This includes improved insulin sensitivity, lower blood sugar levels and reduced appetite. § Type 1 is found in grains, seeds and legumes and resists digestion because it is bound within the fibrous cell walls. § Type 2 is found in some starchy foods, including raw potatoes and green (unripe) bananas. § Type 4 is man-made and formed via a chemical process. In reality the classification is not that simple, though, as several different types of resistant starch can co-exist in the same food. Depending on how foods are prepared, the amount of resistant starch changes. For example, allowing a banana to ripen (turn yellow) will degrade the resistant starches and turn them into regular starches. How Does it Work? What is The Mechanism? The main reason why resistant starch works, is that it functions like soluble, fermentable fiber. It goes through the stomach and small intestine undigested, eventually reaching the colon where it feeds the friendly bacteria in the gut. There are actually hundreds of different species of bacteria in the intestine. In the past few decades, scientists have discovered that the number and type of bacteria can have a profound impact on health. Resistant starch feeds the friendly bacteria in the intestine, having a positive effect on the type of bacteria as well as the number of them. Therefore, resistant starch both feeds the friendly bacteria and indirectly feeds the cells in the colon by increasing the amount of butyrate. Resistant starch has several beneficial effects on the colon. It reduces the pH level, potently reduces inflammation and leads to several beneficial changes that should lower the risk of colorectal cancer, which is the 4th most common cause of cancer death worldwide. Because of its therapeutic effects on the colon, resistant starch may be useful for various digestive disorders. This includes inflammatory bowel diseases like Ulcerative Colitis and Crohn’s Disease, constipation, diverticulitis and diarrhea. However, this needs to be studied properly in human controlled trials before any recommendations can be made. In animal studies, resistant starch has also been shown to increase the absorption of minerals. The importance of insulin sensitivity cannot be stressed enough. Having low insulin sensitivity (insulin resistance) is believed to be a major causal factor in some of the world’s most serious diseases, including metabolic syndrome, type 2 diabetes, obesity and cardiovascular disease. By improving insulin sensitivity and lowering blood sugar, resistant starch may help you avoid chronic disease and may make you live both longer and better. Resistant starch has fewer calories than regular starch (2 V’s 4 calories per gram). So… the more resistant starches found in a food, the fewer calories it will contain. Several studies show that soluble fiber supplements can contribute to weight loss, primarily by increasing feelings of fullness and reducing appetite. It looks like resistant starch has the same effect. Adding resistant starch to meals increases feelings of fullness and makes people less hungry. There are two ways to add resistant starches to your diet… either get them from foods, or supplement with them. Several commonly consumed foods are high in resistant starch. 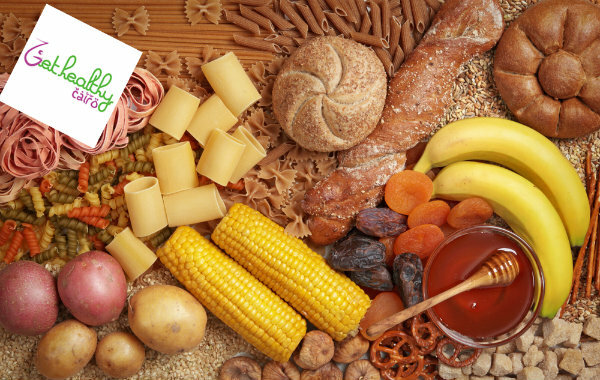 Bananas, corn , potatoes, yams, pasta, pearl Barley, whole grain bread, navy beans, oatmeal, lentils and brown rice are some of the common resistant starch foods. Navy beans have the highest resistant starch at 9.8 grams (per 1/2 cup). Bananas are the second highest at 4.7 grams (1 medium); yams at 4.0 grams (per 1/2 cup), and potatoes at 3 grams (per 1/2 cup). Whole grain bread and oatmeal have the lowest resistant starch, 0.5 grams for bread, and 0.7 grams for oatmeal. Previous article6 Tips to LOSE weight in Ramadan!